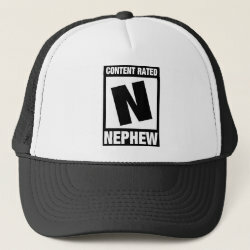 This unique design is inspired by the video game rating system. 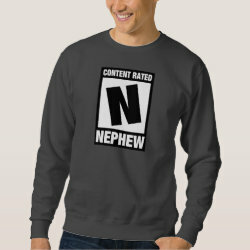 Let everyone around you know you are rated N because you're a nephew! 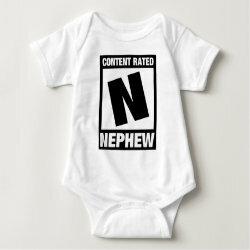 This is a cute gift idea especially for fans of video games - or maybe those for whom video games are a pet peeve!